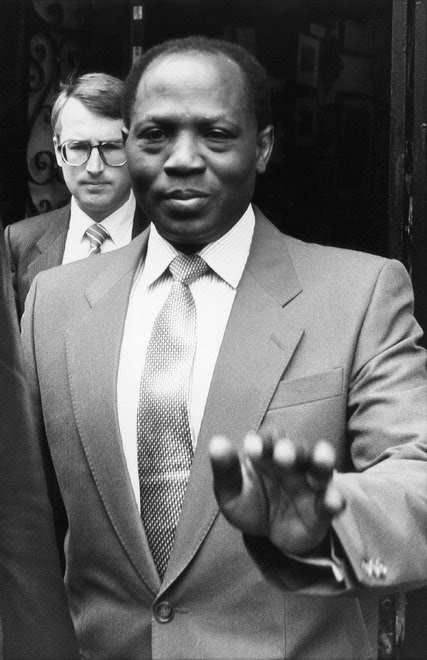 In London in 1984, a team of Nigerians and Israelis attempted to kidnap and repatriate the exiled former Nigerian minister Umaru Dikko. Mr Dikko, who had fled Nigeria after a military coup, was accused of stealing $1bn (£625m) of government money. The plot was foiled by a young British customs officer, Charles David Morrow, who has now told the BBC World Service Witness programme what happened. On a summer’s day, Mr Dikko walked out of his front door in an upmarket neighbourhood of Bayswater in London. Within seconds he had been grabbed by two men and bundled into the back of a transit van. “I remember the very violent way in which I was grabbed and hurled into a van, with a huge fellow sitting on my head – and the way in which they immediately put on me handcuffs and chains on my legs,” he told the BBC a year later. Mr Dikko had been minister for transport in the government of Shehu Shagari until it was overthrown by the military at the end of 1983. He fled to London accused by Nigeria’s new rulers of embezzlement – a charge he has always denied. Labelled “Nigeria’s most wanted man”, a plot was hatched to get both him and the money back. The extraordinary plan was to kidnap Mr Dikko, drug him, stick him into a specially made crate and put him on a plane back to Nigeria – alive. An Israeli alleged former Mossad agent, Alexander Barak, was recruited to lead the kidnap team. It included a Nigerian intelligence officer, Maj Mohammed Yusufu, and Israeli nationals Felix Abitbol and Dr Lev-Arie Shapiro, who was to inject Mr Dikko with an anaesthetic. The kidnappers switched vehicles in a car park by London Zoo and headed towards Stansted airport where a Nigerian Airways plane was waiting. They injected Mr Dikko and laid him, unconscious, in a crate. The Israeli anaesthetist climbed into the crate as well, carrying medical equipment to make sure Mr Dikko didn’t die en route. Barak and Abitbol got into a second crate. Both boxes were then sealed. 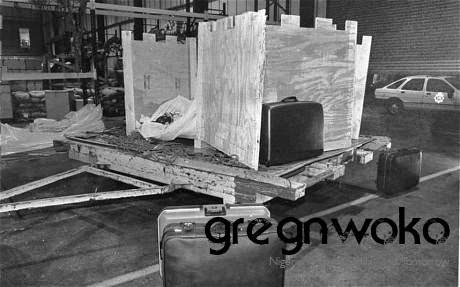 At the cargo terminal of Stansted Airport, 40 miles (64km) north of London, a Nigerian diplomat was anxiously waiting for the crates to arrive. Also on duty that day was a young customs officer, Charles David Morrow. “The day had gone fairly normally until about 3pm. Then we had the handling agents come through and say that there was a cargo due to go on a Nigerian Airways 707, but the people delivering it didn’t want it manifested,” Mr Morrow said. No-one on duty at Stansted had dealt with a diplomatic bag before and Mr Morrow went to check the procedure. Just then a colleague returned from the passenger terminal with some startling news. There was an All Ports Bulletin from Scotland Yard saying that a Nigerian had been kidnapped and it was suspected he would be smuggled out of the country. The police had been alerted by Mr Dikko’s secretary who had witnessed his abduction from a window in the house. Hearing the news, Mr Morrow realised he had a problem on his hands. “I just put two and two together. The classic customs approach is not to look for the goods, you look for the space,” he said. “So I am looking out of the window and I can see the space which is these two crates, clearly big enough to get a man inside. 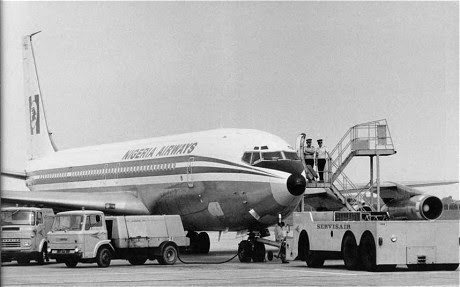 We’ve got a Nigerian Airways 707, which we don’t normally see. They don’t want the crates manifested, so there would be no record of them having gone through. And there was very little other cargo going on board the aircraft. Next articleTHROWBACK: The Rise And fall Of The Notorious Chief Nwiboko Obodo.